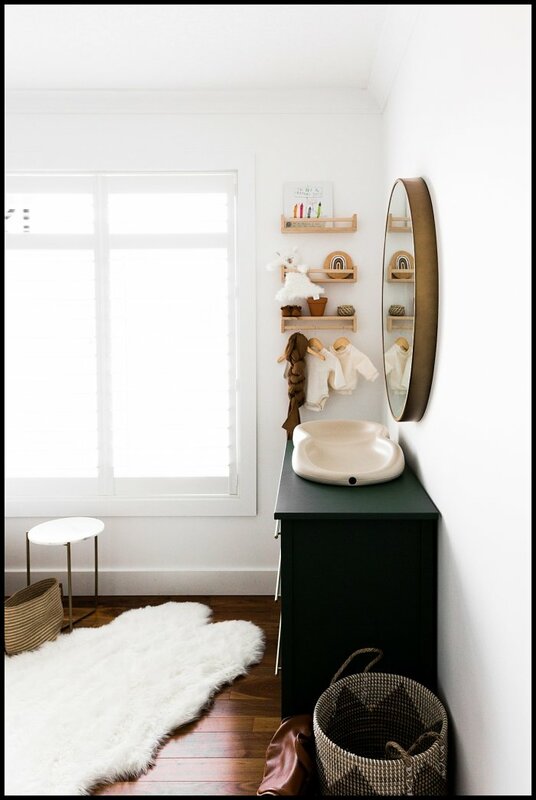 I was inspired by Paige Jones after seeing her ever so popular nursery pictures on Pinterest. 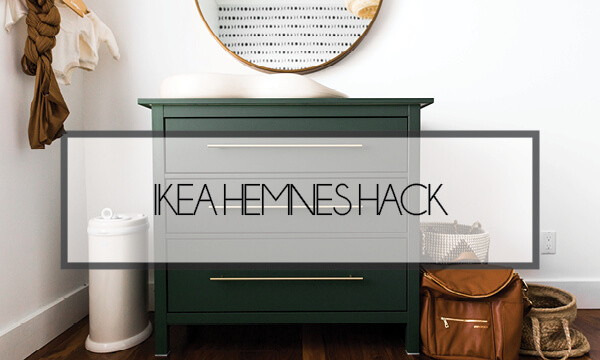 She also did the same IKEA hack but correct me if I’m wrong I don’t think she wrote a blog post on how she achieved the look. I did however find a post from another blogger which I read, thought was pretty clear and followed her instructions and well ladies and gentlemen it was an absolute fail. F to the capital AIL. After sharing my experience on Instagram I had SO many messages asking if I would write my own post with step by step instructions [along with tips + tricks] that actually WORK, so here it is folks. Enjoy. Once you’ve finished sanding you will need to prime all the pieces you’re painting. I used the Zissner 1-2-3 primer after multiple recommendations and it worked like a charm. Up to you whether or not you do one or two coats of primer. Personally, I did two but I’ve had a lot of people tell me that one would’ve worked just fine. Time to paint your project! I did two coats of the Behr Marquee Flat Paint in Vine Leaf and honestly it’s the P E R F E C T shade of green IMO. 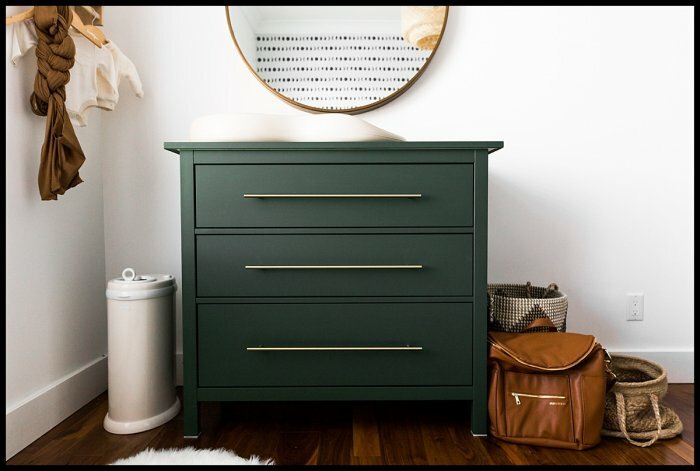 If the dresser was unassembled like mine was this is the time to put it together [but pleaseeeee let the paint cure for 1-2 days to avoid any unnecessary scratches] and if it’s already assembled than skip this step, duh. If you’re adding custom handles like I did you will need to figure out the measurements to ensure your handles are centred. I used the Amerock Golden Champaign Bar Pulls [which can be purchased here] that were 18-7/9″ center-to-enter. Once you have the measurements make sure that you drill the holes from the front side. To ensure that all holes lined up for the three drawers I used a laser level [best invention ever] .. not only did this make the process much quicker but it also ensured better accuracy. Once the handles are installed your project is complete! I’ve had a few messages asking if I added a clear coat or anything on top of the paint and the answer is no, but I guess for extra protection you could absolutely do that? Thank you so much for posting this! I’ve been eyeing your beautiful work and would like to try something like this myself! 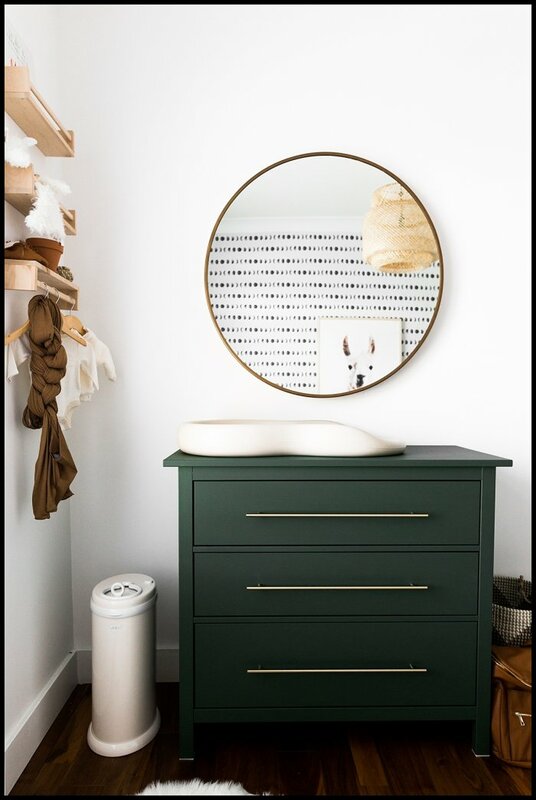 Question though…did you use a paint brush, roller brush, or paint sprayer to paint this dresser? I’ve tried using a paint sprayer before on a dresser and it was an EPIC splotchy fail, so wanting to know how you got the paint to look so uniform! Thanks!